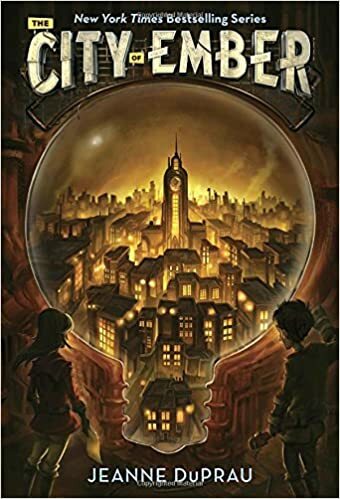 The City of Ember (The First Book of Ember) by Jeanne DuPrau is a young adult novel. It could be a prediction for today’s world, and this book is set in the future. It’s not science fiction and it’s not fantasy, it’s a story that is engaging and well thought out. It’s about a city built beneath the ground by The Builders. We are not told why, but we can guess. The story picks up many hundreds of years after the people are left in the city of darkness. The generator is beginning to fail. The food is starting to dwindle. The people are beginning to lose hope. How can anyone leave the city where light bulbs light their way and walk into the darkness when there is no such thing as a hand-held light. What will the people of Ember do when the generator stops and will not start up again? Read the book to find out. You won’t be disappointed. I enjoyed it. Thank you for the recommendation, Sherry. The next book on my reading list is Bellwether by Connie Willis. I love this author’s previous writing, so I’m hoping this story will be as good. The cover and the blurb are not something that would normally attract me to a book. I’ve decided to read the book for no other reason than I like the author.